Welcome to the first InterNations Newcomers' Event of 2019! 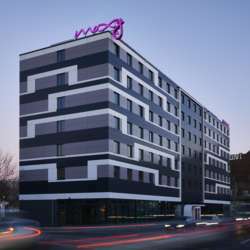 We will be hosting our InterNations Newcomers' Event in the trendy Moxy Hotel. Welcome to the Eastside! The venue is very close to the Eastside Gallery – an awesome place to have some good drinks and nice talks. Best way to get there would be with the S7, S75 or S5 directly to Ostbahnhof. Feel free to spread the word and bring your friends along. Newcomers' Events are especially organized for our newest members in Berlin and its focus is on getting to know each other, meeting many new friends and of course … having a lot of fun! So be prepared and sign up!